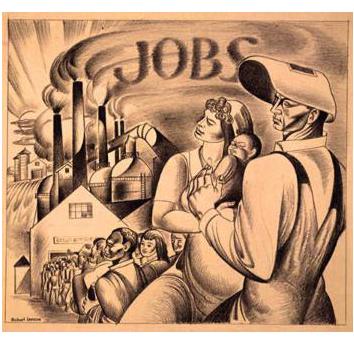 This course starts by looking at work in 1 8th and early 19th-century America. It was an era before factories, electricity, and even cheap pocketwatches. The way people worked, even the way they thought about working time, was far different from what we know today. By 1883, when Henry George wrote Social Problems, mass production and concentrated capital were major issues confronting working people and consumers. The book, which is the main text for this course, was based on a series of magazine articles George wrote to give his perspectives on the issues of the day. Largely, these are today’s issues, too, including taxation, the individual and society, human rights, immigration, the effects of automation on workers, greed, the proper scope of government, public debts, farm problems and urban stress. George’s writing here is focused and accessible, aimed at the working people of his time– and ours. The course concludes with a look at how George’s recommendations address the issues facing working people in the early 21st century. “History of Labor in America” was originally intended as an advanced course, for those who had previously completed Progress & Poverty. But as the main text was intended for an audience with no prior education in political economy, it’s unlikely that any interested adult would have difficulty with the material covered.